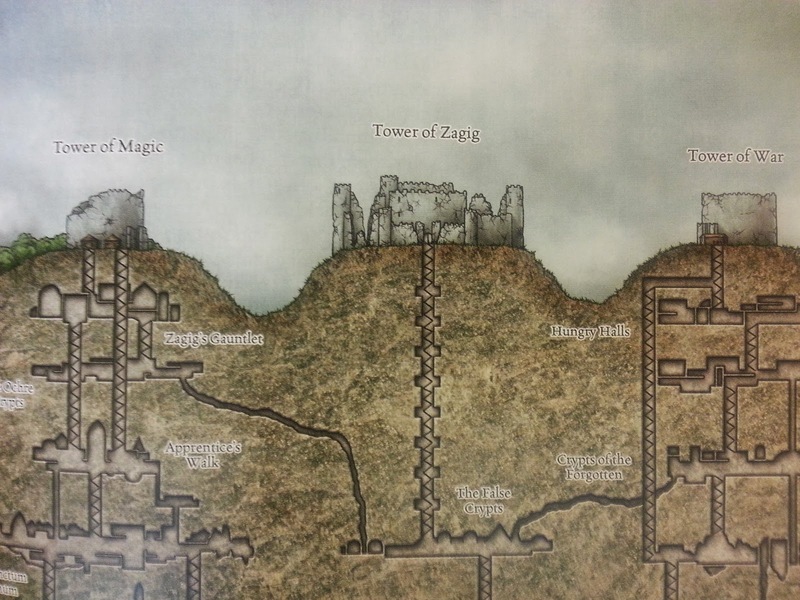 This news is a week behind because at the time Mike Schley made the tweet concerning Greyhawk maps soon to be on his website, it didn't strike me as a great move forward for our favorite setting. Since then I've been to Mike's site and I see he does have an impressive body of work and illustration too. 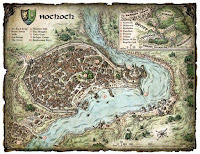 The aforementioned maps from Expedition to the Ruins of Greyhawk are not on here yet, but I do see he has maps from the 4E Against the Giants conversions that once ran in Dungeon and a map of Hochoch seen in Dragon #418 (from that same Giant-troubled region). 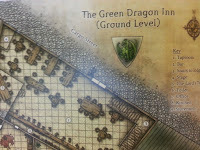 The Green Dragon Inn is central to the story and it's a decent example of Schley's floor plan work. You won't find this inn illustrated anywhere else in Greyhawk canon that I'm aware of so it's worth a look though it's suitable to use as any generic inn really. 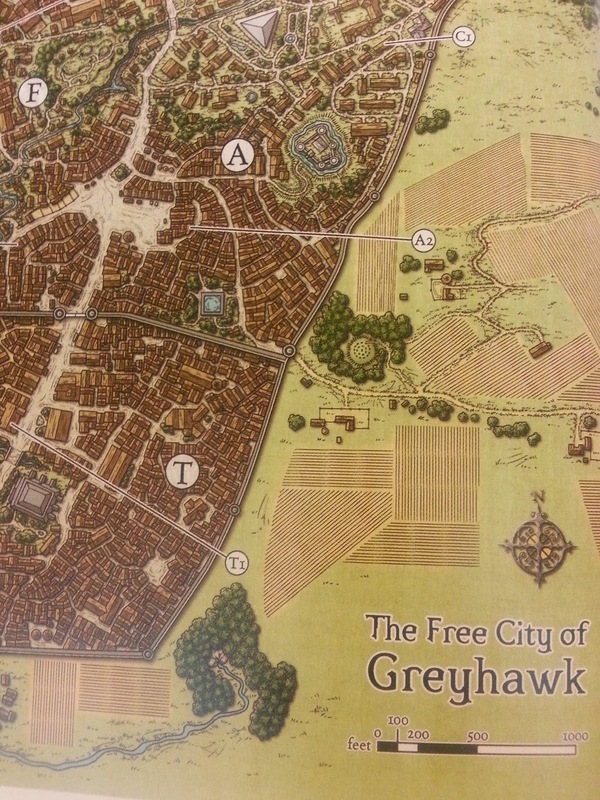 Schley's full page map of the City of Greyhawk is a good piece of art that would look good as a print to hang on your wall. Those who have followed Greyhawk for a long time will note however it's just another version of a well-known mapview that has been done, first in the City of Greyhawk boxed set, then in Greyhawk the Adventure Begins, and finally updated by Denis Tetreault for the Living Greyhawk Journal. 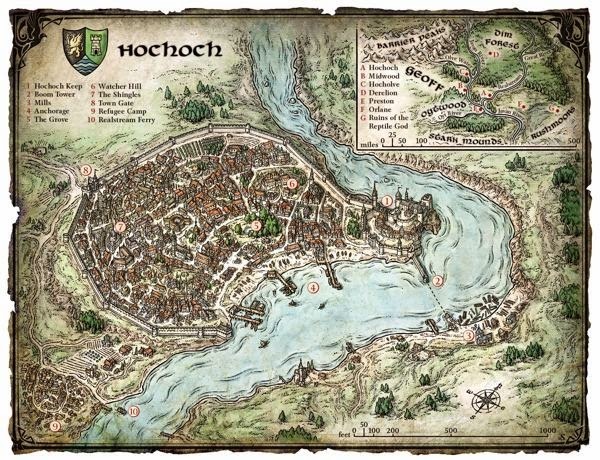 Schley's city map is merely an artistic redraw of Denis' functional game map so I assume if you want a print of the city to hang on your wall instead of on your game table this is the best thing out there. Most of Schley's maps in Expedition are set encounter battle maps, which I won't cover here. They are generic and will find use in just about any situation you can dream of. 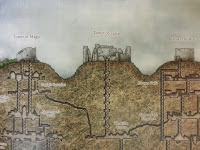 The maps that most inspire me from this book are the overhead view map of the three ruined towers of Greyhawk castle and the cut away view of the castle dungeons and how their levels intersect. 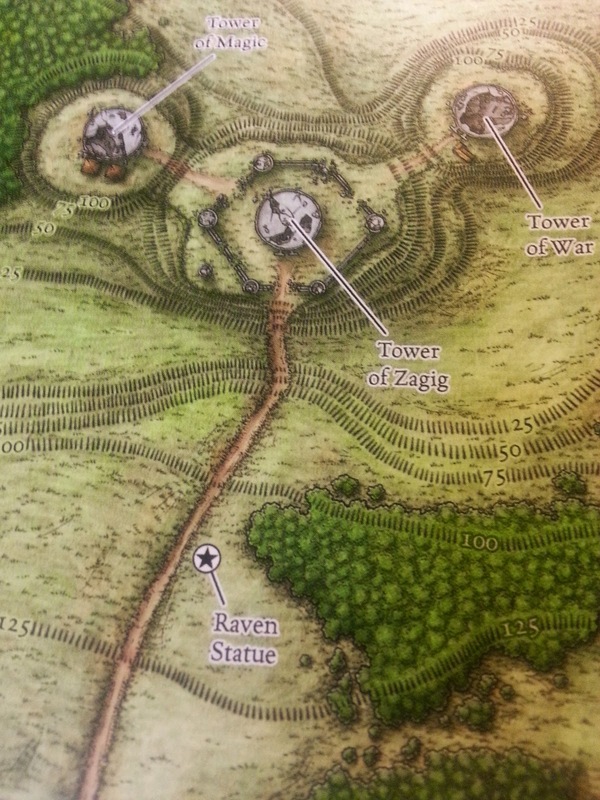 These are of course excellent redraws of material first seen in the module Greyhawk Ruins, but all of the cartography in those books is atrocious, so in this case kudos to Mr. Schley. 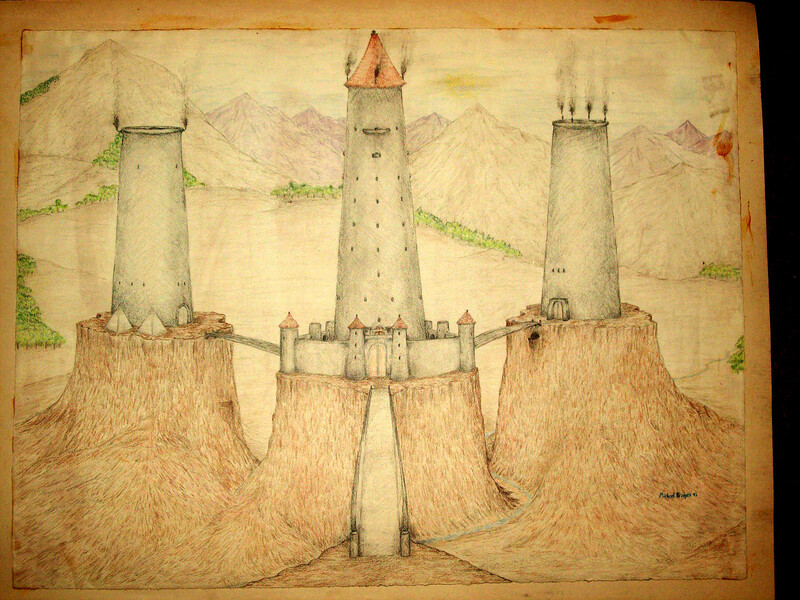 The top view of the three ruined towers seems like a simple exterior elevation map sure, yet it led me years ago to do this illustration of what the towers looked like before their ruination (or rebuilt as the case may be). Will I order anything from Schley? Probably not, but it gives me hope that maybe in the future other cartographers like Anna Meyer can get the green light to sell Greyhawk maps and with any luck new Greyhawk maps. Good info, thanks Mike! I was only passingly aware of the possibility of Schley doing GH maps---I saw a post or two on FB about it, but by the time I checked it out further, it was clear that he really wasn't working on a secret GH project, and I never bothered to investigate further. Based on what you've shown, though, I'll definitely give his work a look again. Thanks!